Michael Hartl is the creator of the Ruby on Rails Tutorial, one of the leading introductions to web development, and is a cofounder of the Softcover self-publishing platform. His prior experience includes writing and developing RailsSpace, an extremely obsolete Rails tutorial book, and developing Insoshi, a once-popular and now-obsolete social networking platform in Ruby on Rails. 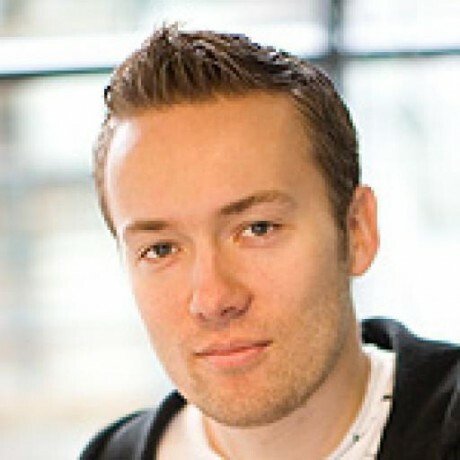 In 2011, Michael received a Ruby Hero Award for his contributions to the Ruby community. He is a graduate of Harvard College, has a Ph.D. in Physics from Caltech, and is an alumnus of the Y Combinator entrepreneur program. 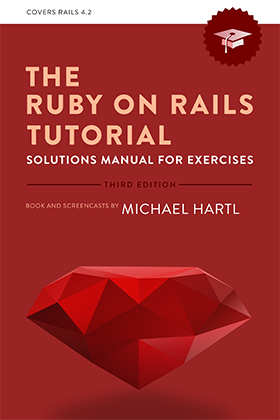 3rd edition of @mhartl’s much celebrated The Ruby on Rails Tutorial is out in draft: http://news.railstutorial.org/rails_tutorial_3rd_edition/ — looks like a great upgrade! What are Ruby and Ruby on Rails? Ruby is a general-purpose programming language, and Ruby on Rails (or “Rails” for short) is a framework for making web applications written in Ruby. Ruby on Rails is one of the most powerful and popular web development frameworks available, used by sites like Twitter, GitHub, Airbnb, and Hulu. Learning Rails will give you the tools you need to make your own web applications, while also putting you in a good position to work for a web development consultancy, startup, or other tech company. What is the Ruby on Rails Tutorial? The Ruby on Rails Tutorial: Learn Web Development with Rails is the 3rd edition of a book and a screencast series designed to teach web development with the Ruby on Rails web framework. Who should study the Ruby on Rails Tutorial? The Ruby on Rails Tutorial is designed for anyone who wants to learn how to develop web applications. This audience includes entrepreneurs, small business owners, aspiring developers, and experienced developers with experience in other languages or frameworks. Is the Ruby on Rails Tutorial appropriate for complete beginners? The Ruby on Rails Tutorial is likely to be very challenging if you have no programming experience at all, but many beginners have reported that they were able to get through it with enough determination (in some cases, by going through the entire tutorial twice!). What are the prerequisites for the Ruby on Rails Tutorial? There are no formal prerequisites, but I recommend familiarity with HTML and CSS, and some previous programming experience is helpful. Does the Rails Tutorial use the latest version of Rails? Yes, The Ruby on Rails Tutorial: Learn Web Development with Rails is fully up-to-date with the latest version of Rails. 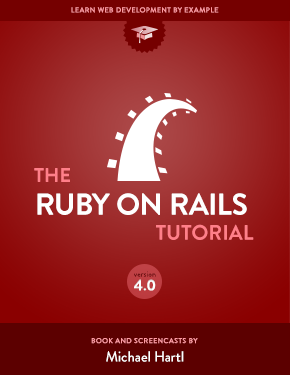 What does the Ruby on Rails Tutorial cover? See the full table of contents for more details. How is the screencast series related to the book’s content? The screencast series includes all the content from the book, while adding dozens of tips and tricks to help you go beyond the text, including debugging hints, testing techniques, and more detailed explanations of some of the finer points of web development. And though the screencasts are carefully edited, I’ve left in some of the problems I encountered along the way, so that you can learn how to recover from the inevitable application errors—and see that even experts sometimes make mistakes. The content of the screencasts is based on the 3rd edition of the Rails Tutorial, which uses the latest version of Rails. How do I view the screencasts? Once you make your purchase, the screencasts are available as downloadable HD video files (MP4 format) and can be viewed on your computer or tablet device. After logging in, navigate to Your Books, mouse over the relevant book, and click “Downloads”. Scroll down to see the video links (if applicable). What about single-page web frameworks like Angular, Backbone, and Ember? Do I have to buy a subscription to the Cloud9 IDE to complete the Rails Tutorial? No, Cloud9 has a free tier that is perfect for doing the tutorial without committing to a monthly fee. Where can I find the latest updates about the Ruby on Rails Tutorial? The best thing to do is to join the email list. Announcements are also typically available online via the Rails Tutorial News feed. If I buy the Rails Tutorial, will I get updates for free? Minor updates are free, while new editions are paid upgrades with substantial upgrade discounts for current customers. 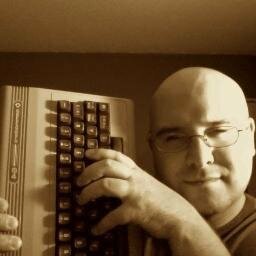 Is there a print edition of the Rails Tutorial? Are the previous versions of the Rails Tutorial still available online? Should I report a tiny typo I found? Typo reports, no matter how small, are gratefully received. Please send reports via email to the address below. You can reach me by email at admin at railstutorial dot org. Yes, every Rails Tutorial purchase comes with a 60-day money-back guarantee. The Ruby on Rails Tutorial helps you learn Rails by example through the development of a substantial sample application, including a site layout, a user data model, a full registration and authentication system, user-micropost associations, social “following”, and a feed of status updates. The Ruby on Rails Tutorial also teaches good software development practices, including version control with Git and GitHub, test-driven development (TDD) and integration testing, and instant deployment with Heroku. Though of necessity the book and screencasts focus on a specific sample application, the emphasis throughout the Rails Tutorial is on general principles, so you will have a solid foundation no matter what kind of web application you want to build. Web development is a tricky business, and despite the best efforts of the tutorial it’s likely that you’ll run into trouble at some point. If you do, I suggest comparing your code to the reference implementation of the sample app to track down any discrepancies. You can also post your question at Stack Overflow using the tag railstutorial.org. (Click here to see questions labeled with that tag.) The creators of the Learn_Rails subreddit have graciously offered to answer questions as well. Errors in the tutorial can be reported by email, but please triple-check by comparing with the reference implementation of the sample app first. Have you compared your code to the reference implementation of the sample app? Are you using the exact gem versions (including Rails) used in the tutorial? Did you restart the web server? Did you kill all relevant Spring processes (as described in the book)? Did you re-run bundle install? Did you try running bundle update? Did you try Googling the error message? 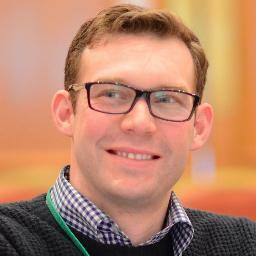 If your problem is of a general nature, such as having issues installing Rails or configuring your system, I suggest posting to Stack Overflow (again using the tag railstutorial.org), sending a message to the Ruby on Rails Talk mailing list, or posting to the Learn_Rails subreddit. This will allow other people running into your issue (and not just those following the Rails Tutorial) to benefit from the discussion. You can also try asking your question on the Rails IRC channel (#rubyonrails) to get live assistance from other Rails programmers. For issues deploying to Heroku, please contact Heroku technical support. When asking your question on any mailing list or forum, be sure to include as much relevant information as possible. To maximize your chances of a helpful reply, I especially recommend the article How To Ask Questions The Smart Way by Eric Raymond. I can be reached by email at admin at railstutorial dot org.